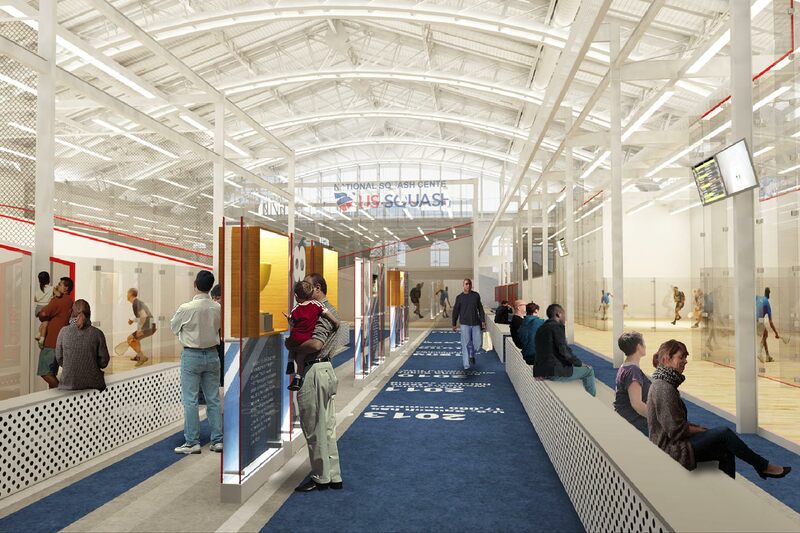 Designed for all level of Squash lover – from professional national team, to collegiate player, to spectator – the new squash training and tournament facility features multiple professional-level playing courts, a squash hall of fame, and café. Nestled in an urban setting, the branded space is motivated by enhanced spectator experience and celebration of the player. 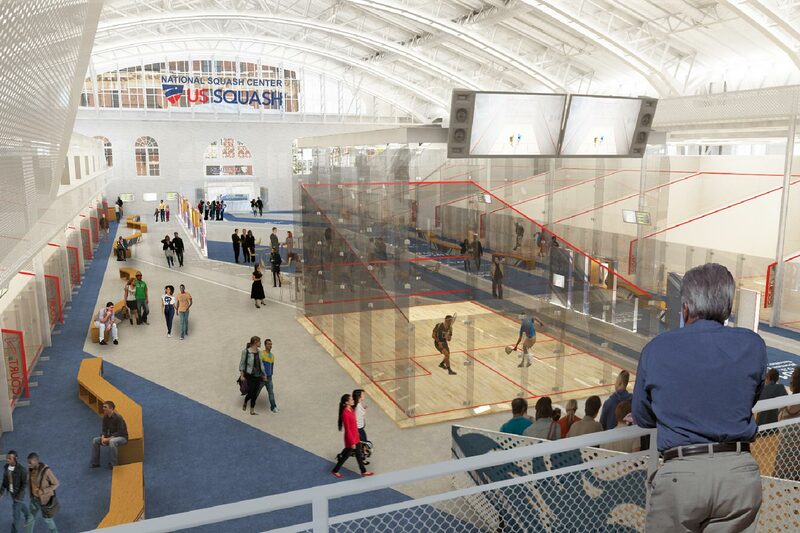 Encased in glass walls to provide a fully immersive experience for fans, the squash courts are visible from eye-level as well as vantage points along a raised walkway that snakes throughout the building. 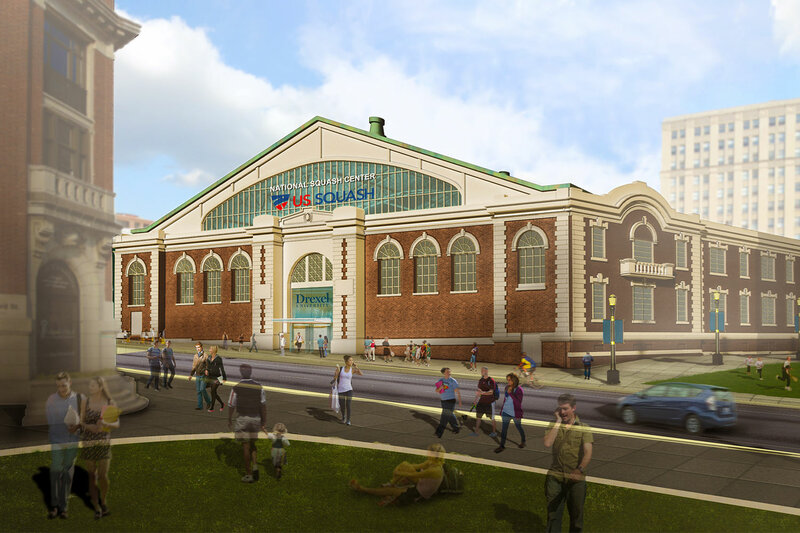 Behind the exhibition court, tiered seating for up to 500 fans rises to large, existing windows that offer views to the city beyond. 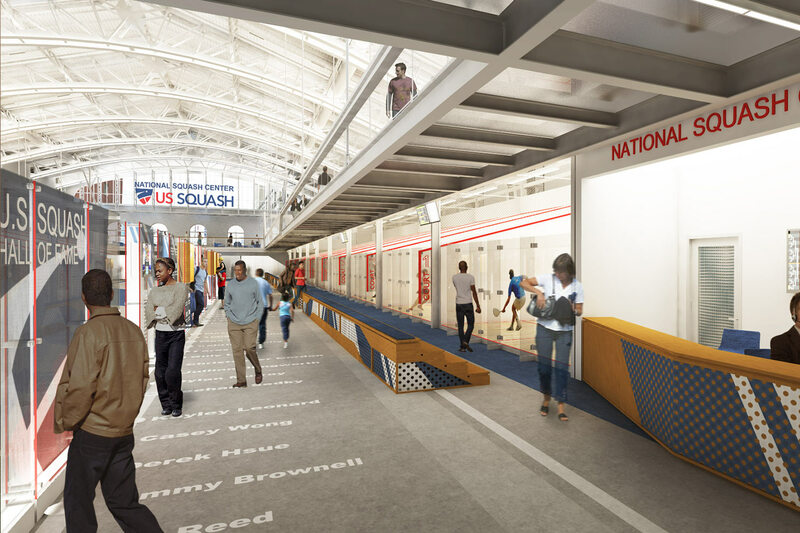 Other reasons to linger at the squash center include functioning classrooms, offices, lockers, and amenities.